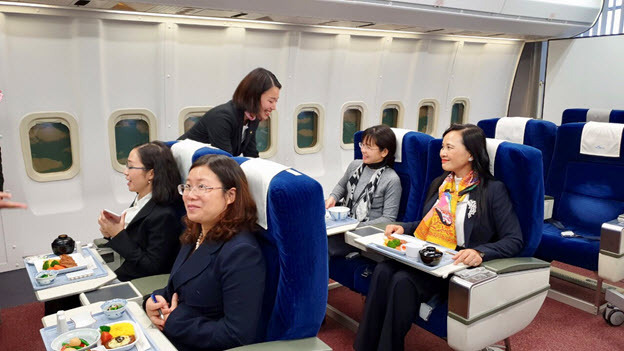 » News & Events » Administration training for ULIS’s staff in Japan, 2018. 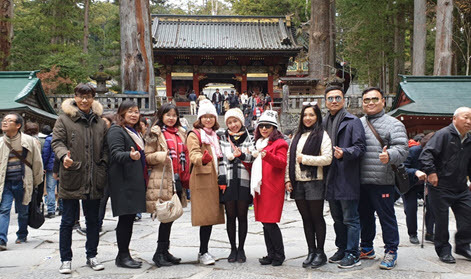 In implementing the plan of staff training on university administration, from November 21th – 29th, 2018, ULIS – VNU organized a study tour to Japan for ULIS’s staff. 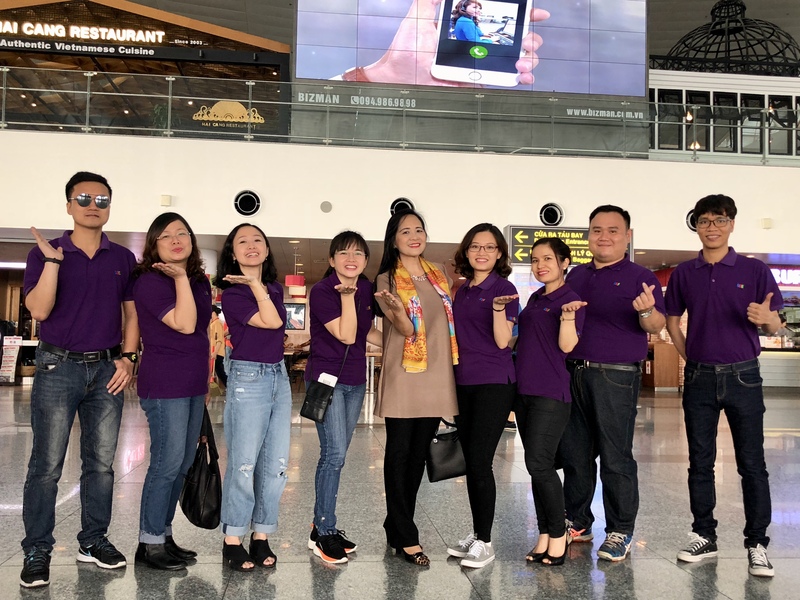 This is the third study tour held in the last two years and the second trip to Japan, including the particapants of 10 delegates. 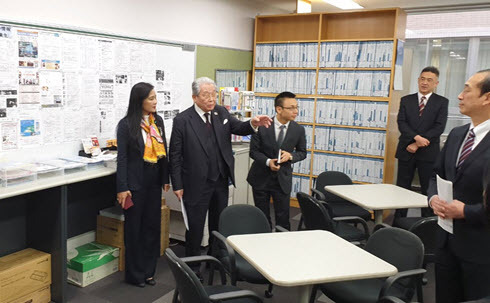 On November 22nd, to begin the trip, led by Vice President Ngo Minh Thuy, the delegation visited and worked at Tokyo University of Foreign Studies, Japan. 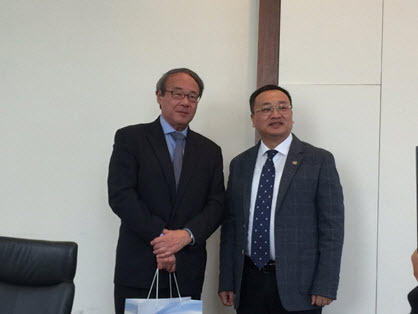 At this University, the delegation discussed the cooperation between the two universities with Prof. Tateishi Hirotaka, President of Tokyo University of Foreign Studies and took part in many other activities . Notably, ULIS’s staff had the chance to experience and learn the experience of organizing the University Day (Daigaku Wrong). This is also a “Student Festival” – a Cultural Festival taking place once a year, organized by students of the University. The teaching of many foreign languages ​​made the Festival a place for great cultural and culinary activities from different countries of all 5 continents. This Festival is also open to the local people so as to create a cohesive bond and to better advertise the university. 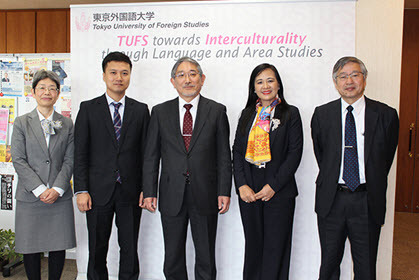 Following the meeting at Tokyo University of Foreign Studies, Vice President Ngo Minh Thuy and ULIS’s delegation visited Japan College of Foreign Languages (JCFL). Mr. Ise Yoji and other leaders of JCFL warmly welcomed the delegation, openly shared with the ULIS’s staff about their management, student support and especially experience on career orientation and job seeking for students. During the visit to JCFL, the delegation had a meeting with Japanese students who had recently returned from short term courses at ULIS in November, 2018. 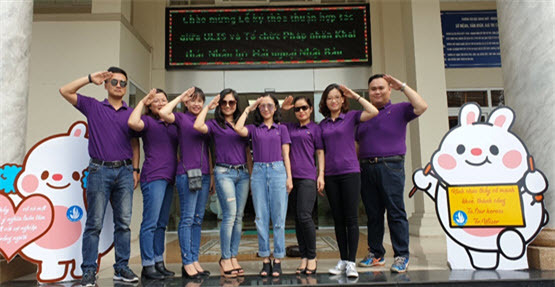 The teachers were thrilled to see how more active and grown-up their students became after field trips in Vietnam. Therefore, JCFL expressed the desire to promote and develop these short term training programs as well as to open up new forms of cooperation between the 2 universities in many aspects. 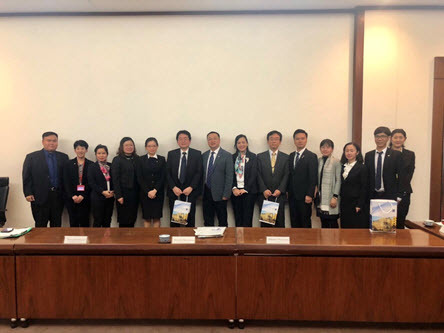 After the visit and meeting with Tokyo University of Foreign Studies and Japan College of Foreign Languages, the delegation led by president Do Tuan Minh visited and worked with Japan Foundation and One Asia Foundation. 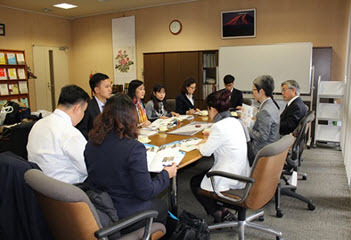 At the Japan Foundation, the delegation had a conference with the foundation’s vice president – Mr. Sakurai Tomoyuki, along with several leaders working in Japanese Language Education and Japanese Language Proficiency Test, to update information about activities of the Foundation and Japanese language education in the world. At One Asia Foundation, the delegation worked with its representatives and updated information about its activities. Suffice it to say that 2018 is a special year to ULIS-VNU as just three months ago, in August 2018, the university in collaboration with One Asia Foundation organized successfully the One Asia Convention Hanoi 2018 (Hope for the Future) on a large scale (with the participation of 518 international scholars and 135 home scholars). During the trip, in addition to four working sessions at four organizations mentioned above, the delegation inspected some areas, learnt about the Japanese society and the life of Japanese people, visited Asakusa pagoda, Meiji Jingu temple, Fuji mountain and Nikko – a world cultural heritage site and experienced Japanese culture.